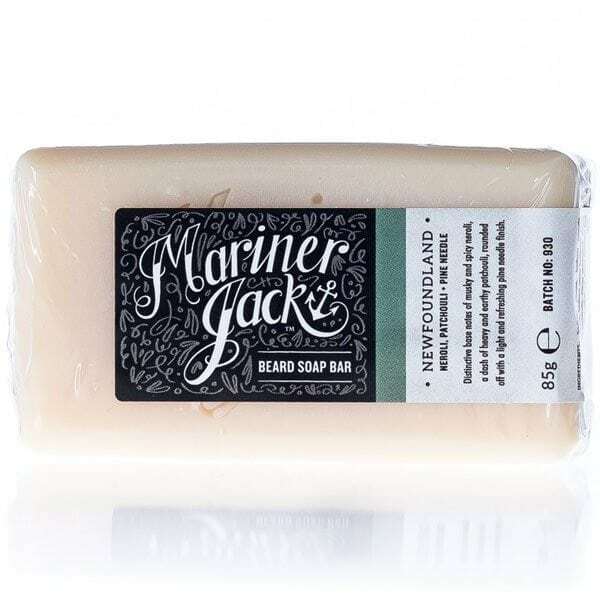 Mariner Jack Newfoundland Beard Soap contains notes of Patchouli, Neroli and Pine Needles. Deep base notes of earth and musk pave the way for a sweet and honey like core from the neroli oils. Gently rounded off with the fresh wood undertones of pine needle. 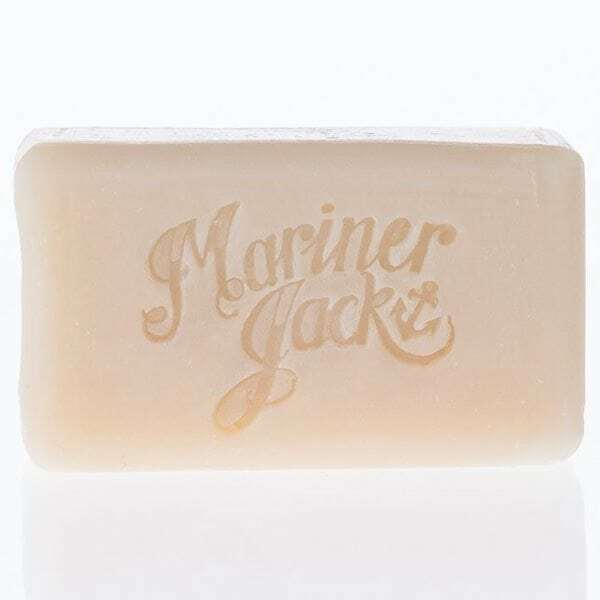 Cleanse your beard without stripping out the natural oils like a commercial shampoo. Everything is chopped, blended, hand poured and left to cure in our blending room for six weeks to create these long lasting, hard soap bars. INGREDIENTS: Sodium olivate, Sodium cocoate, Sodium shea buterrate, Sodium cocoa butterate, Aqua, Glycerin, Sodium castorate, Citrus aurantium flower oil, Linalol, Pogostemon cablin oil, Pinus sylvestris leaf oil, d-Limonene, Geraniol, Farnesol. WARNING: CONTAINS NUT OILS.